These syllabuses enable learners to extend the mathematics skills, knowledge, and understanding developed in the Cambridge IGCSE or O Level Mathematics courses, and use skills in the context of more advanced techniques. 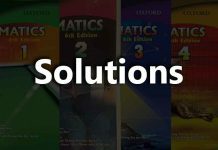 The syllabuses have a Pure Mathematics only content which enables learners to acquire a suitable foundation in mathematics for further study in the subject. 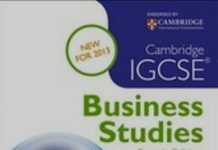 Knowledge of the content of the Cambridge IGCSE or O Level Mathematics syllabus (or an equivalent syllabus) is assumed. an ability to solve problems, present solutions logically, and interpret results. This book is an attempt to cover, in one volume, the content outlined in the Cambridge O Level Additional Mathematics (4037) and Cambridge IGCSE Additional Mathematics (0606) syllabuses. The book can be used as a preparation for GCE Advanced Level Mathematics. The book has been endorsed by Cambridge Assessment International Education. The examinations for Cambridge Additional Mathematics are in the form of two papers. Many of the problems in this textbook have been written to reflect the style of the examination questions. The book can be used as a scheme of work but it is expected that the teacher will choose the order of topics. Exercises in the book range from routine practice and consolidation of basic skills, to problem solving exercises that are quite demanding. Prints of this textbook before 2017 included a student CD, but any later reprints (2017 onwards) have moved all of the CD features to Snowflake – our online learning system. Hello, I am a Web developer and blogger, currently a UETian, I want to compile all the best O and A level resources at one place for the ease of students. Gcecompilation.com is an initiative taken with the aim to compile the best O & A Level Notes, Revision Guides, Tips, Videos and Websites from all around the world at one place.